“Yensesa”, is a word derived from a Ghanaian language called Twi which translates as “Let’s Exchange”. 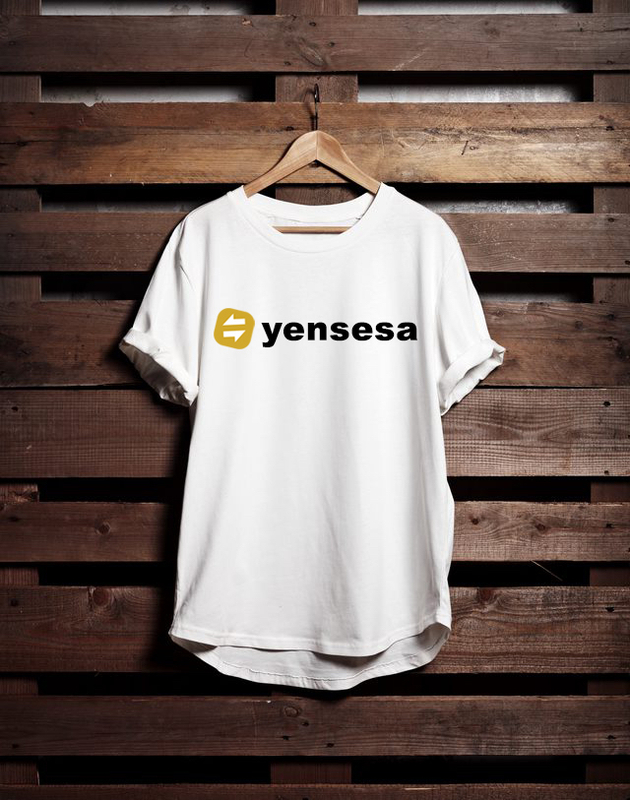 Yensesa is a new exchange service that simply automates a process of exchanging Steem / SBD to Ghanaian cedi (in Digital Fiat form) via Mobile Money. Currently, the Ghanaian and other African users on Steem are doing this manually and our solution will automate it. Mobile money is digital currency on the rise in Africa. Mobile telecom companies in Ghana, Nigeria, and Kenya, just to mention a few are leading the way into the cashless future, by allowing their customers to send digital money to each other and are able to cash out in paper money at converting mobile money Kiosks. There are thousands of such Kiosks at every corner in Ghana. In 2016 MTN in Ghana recorded about GH¢56 billion in mobile money transaction, Kenya’s M-Pesa still accounts for the highest number of mobile money transactions in the country, with 423 billion shillings (US$4 billion) in person-to-person transfers. There is a huge opportunity to leverage the existing mobile money infrastructure and integrate it with the Steem blockchain to allow Steem users easily take out their Steem / SBD in mobile money transfer. A common practice with Ghanaian / African Steem users needing to cash out their Steem. They end up having to transfer their Steem to a different trading platform, converting it into Bitcoin and then using a local Bitcoin/Cedi dealers to exchange. Dealers can be found on platforms like localbitcoin.com so this is already a reality and people are losing money and time between trading platforms and it being done manually. Our proposed solution is to automate this existing manual system in 3 easy steps. A Steem user who wants to sell their Steem/SBD for Ghana cedis signups up with us. They tell the system how much Steem / SBD they want to sell and add their mobile money number to receive the cash. They send the Steem / SBD to Yensesa from their Steem wallet and Yensesa sends them mobile money instantly. We currently don't have that sort of crazy demand which could overload us yet but it is coming, as all of Ghana and Africa rushes to sign-up to Steem due to the massive promotion happening around Ghana and the continent at the moment. We see massive growth potential with this project as everyone that has a mobile phone in Ghana (Both smart and non-smart) can receive mobile money (Digital Fiat). Imagine how much difference we can make in the next 2 years, with 30% of Ghana or 1 million Ghanaians, each needing to exchange thousands of Steem / SBD in a month, with the best service, customer support and approval from local government Yensesa will scoop up millions of Steem/SBD and we will become the Coinbase of Ghana and eventually Africa. July 06 : Public Launch with the transaction volume of up to $5000+ processed. Nov 05 : Start POS integrations for Hotels, Restaurants, Shops and other service providers. We are asking for 5353 STEEM . However, if you cannot make the full amount anything would be greatly appreciated as it will still go a long way to help us. If we exceed this goal, the rest of the money will go into our marketing budget which is purely focused on increasing Steem awareness on local radio, television, street and social media ads! About 40% of the money raised will go into liquidity to support our first few transactions, 20% will go into engineering hires, 15% will go into operation cost and 25% into marketing and promotion (local radio, television, street, billboards, SEO and other promotion strategies by #accra and #teamAshanti) for Steem and Yensesa to increase awareness. This funding should be able to sustain the team until we reach cash flow positive and are ready to expand to the next phase of the project. We are currently looking for influencers from the Steemit community to help promote our project to their followers. If you're interested in partnering with us, Influencer(s) will receive 22% of what we raise on our Hyperfundit campaign. 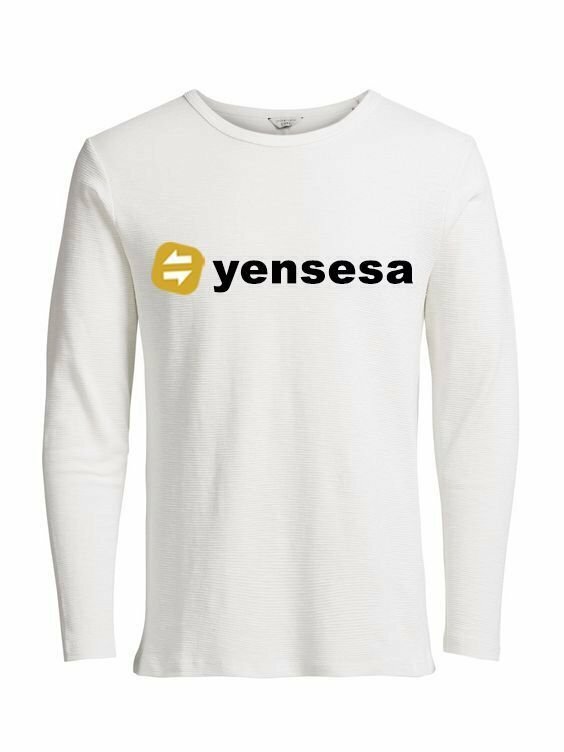 Besides becoming an influencer or donating to our project here are a few other ways you can help make Yensesa a success! Let us know what you think we can do more or less of! Tell your crypto friends and networks about us! If you'd like to become an Influencer message @black-man on Discord. Donate SBD to claim the reward that you want! 92% of donations go towards funding this campaign. Estimated Delivery: June, 2018 Get your name inscribed on our virtual Supporters Wall and have it forever inscribed on the Steem Blockchain. 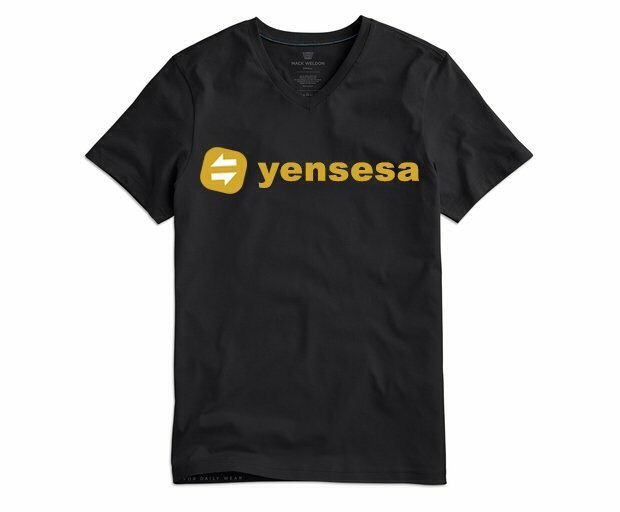 These are the awesome Yensesa T-shirts you can choose from! See transfer history to check if the Limited reward you want is still available. 92% of post earnings go towards funding this campaign. Come back to upvote again each week! Earn curation reward and good feels! End: June 11, 2018 Upvote! To start your own campaign, simply write a post about your story and project, then tag @hyperfundit.com. We take on projects that help the Steem community grow, this can be either software or community based. Please be prepared to provide proof of work. Do you want to continuously support project creators? Follow @hyperfundit.com’s curation trail. Will you support this project with another upvote? 92% of post earnings go towards funding this campaign. What about a third time? Thank You! Your support goes a long way! Amazing @hyperfundit.com thank you for featuring @yensesa project on your platform and helping us to reach our fund raising goals. The problem is the same everywhere. There is no easy way to convert steem to cash right now especially in South East Asia. But could someone earn a living on Steemit? Thank you for promoting this project.. @yensesa is here to change the game. Great project , I am also live in Africa, country Rwanda it is hard to cash out. What about us if transaction will be in Ghanaian. This post has received a 28.95 % upvote from @boomerang. There are so many things to learn here that your post is very big. 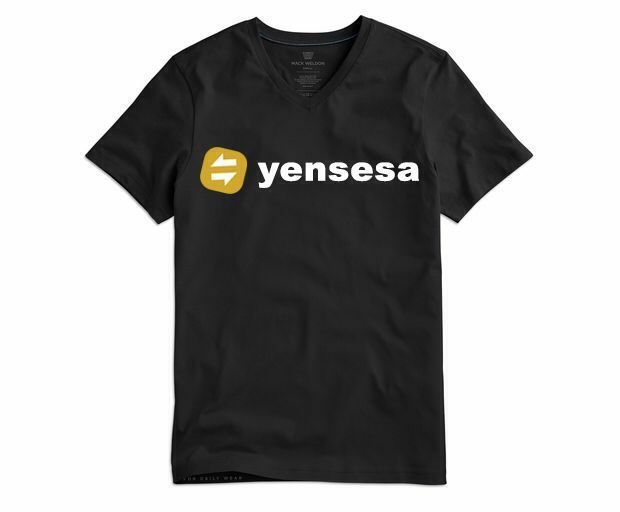 Thanks @hyperfundit.com for promoting @yensesa. What a unique and innovative way to change the world! Yensesa will make so many people's lives better. Upvoted and resteemed. Excelente, iniciativa vamos todos apoyar a los hermanos de la madre Afrìca con este maravilloso proyecto. Fantastic initiative and a really well written piece which explained all aspects of the project. Looking forward to seeing something similar in South Africa. Keep up the good work. @zahabu, lets talk on discord join (https://discord.gg/3v2A4An) and talk to @black-man. Thanks for your interest. I have better idea developers can make widget on websites users like my .So if exists STEEM, STEEMI DOLLARS, STEEM DOLLARS, widget is missing STEEM EXCHANGE RATE FOR CURRENCY. Congratulation hyperfundit.com! Your post has appeared on the hot page after 32min with 25 votes. nice post.i like this post.very good.thank you. wow !! good movement with great colaboration..
Congratulations to the entire Ghanaian Steemians. Let's spread the good news of steem, of spreading the wealth around. Thank you for the information. Nice content. I love this idea, we need one in Venezuela! I have up vote you..
You got a 9.94% upvote from @upmewhale courtesy of @hyperfundit.supp! thanks for this valuable article to share with us. Guys, I had goosebumps when I read your article. This is one of those ideas really making a change. Congrats, visionaries! I'll support you the best way I can. You got a 16.98% upvote from @postpromoter courtesy of @hyperfundit.supp! Your post is really very nice.I am new user please send me upvhote. I love this your post. Good i am supporting this project. Ya, Converting SBD to Bitcoin means losing money. Especially, when the amount is small, trading SBD for Bitcoin anf selling it on localbitcoins is not feasible. Good initiative. However, I am not in a position to support the project atm. I can only wish you luck. I miss the camping. I want to exchange my SBD to BDT. Please anyone can tell me how to exchange this. excellent work I hope to have your support follow me and I follow you! This project looks very innovative in West Africa. I will promote and support your idea. I'm going to help supporting this project with a little upvote, hence it's an amazing advance, I'm completely sure it happens somewhat like my country, any little earning people from Ghana could make here means a lot more in their country. Let's support more of this initiatives. This is really great, I think adoption in the less wealthy areas of this planet will push crypto in general forward since it’s more necessary there. Mobile money bring a great change and the platform steemit is really amazing and cool. I happy to use steemit by my mobile. I still don't understand what this project is all about. Do you have an executive summary? or a white paper? @mfederi , so let say you work hard on steem and earn some Steem or SBD and you want to take this out convert it into your local money so you can buy something with it. Current solution is either you find someone willing to buy your SBD and you sell it to them or convert your SBD into Bitcoin via an exchange and then find someone who wants to buy bitcoin and sell it to them for money. This project makes all this simple, if you are in Ghana you can just send your steem to and and get real money back. Finally there's gonna be an easier way to cash out SBD. Great initiative guys. I'm still wrapping my head around this project, but from what I can comprehend in general it's about reducing/eliminating friction for Steemit users in Ghana wanting to cash out. Congratulations! This post has been upvoted from the communal account, @minnowsupport, by Rob hyperfundit from the Minnow Support Project. It's a witness project run by aggroed, ausbitbank, teamsteem, theprophet0, someguy123, neoxian, followbtcnews, and netuoso. The goal is to help Steemit grow by supporting Minnows. Please find us at the Peace, Abundance, and Liberty Network (PALnet) Discord Channel. It's a completely public and open space to all members of the Steemit community who voluntarily choose to be there. Could we add something like Manna to this system? We have a number of people on the continent of Africa receiving our weekly basic income in the form of Manna with more signing up each week. Our present number is about 100K globally receive the token with our goal, ultimately, being 50 million. I am sure the people of Ghana could really get excited about something like this since it is money sent every week. You are on a right track. Its all about dedication. @muzammil381 you're on the @abusereports naughty list! If you do not stop, your account will be rendered invisible on Steemit. Bad Steemian! Bad!